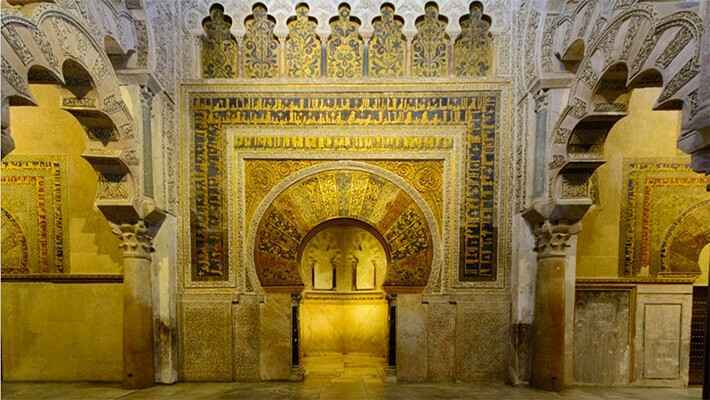 Come with us under the red and white arches and discover this monument, declared World Heritage Site and one of the great Muslim and Christian world jewels. 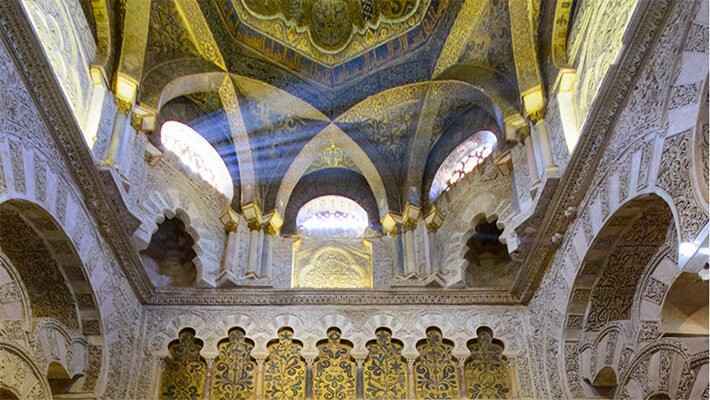 Join us and discover the real heart of the city on our Mosque-Cathedral of Cordoba Tour and find out the importance of the Al-Andalus architecture in a pleasant walk through the evolution hidden by its walls. 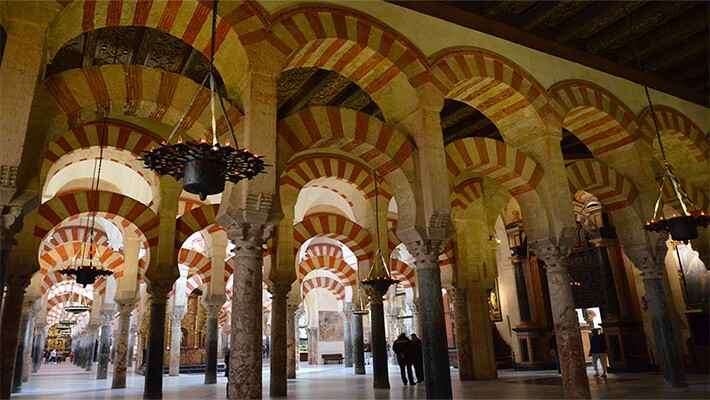 Led by our English speaking guide, we will visit the most popular landmark in the city, declared World Heritage Site, and we will explain you each one of the three alterations that underwent the Muslim Church since it was built in the year 785, and its posterior conversion to a Christian cathedral in the XIII Century. This was the second largest place of worship, after the Mecca. 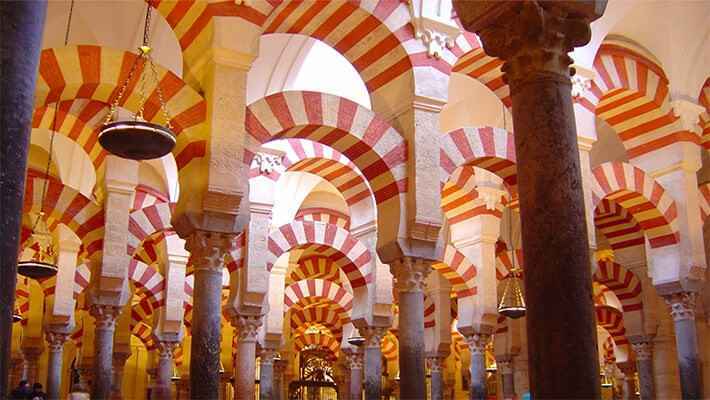 Sequently, we will appreciate the most characteristic elements in our Mosque-Cathedral of Cordoba Tour, such as the arcade layout, the columns, the bases, the shafts and capitals of different sizes, materials and styles; since it was built with plundered materials from other Roman and Visigoth old buildings. 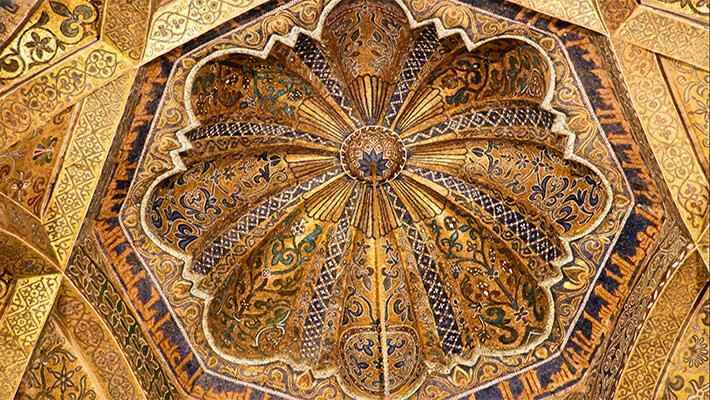 The most beautiful pieces were reserved to build the noble part, the Mihrab. 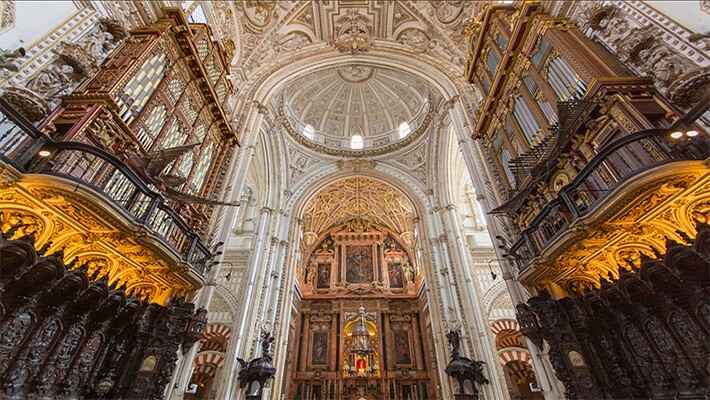 The English speaking guide will happily take us through the forest of columns to the wonderful mahogany choir stalls located in the centre of the mosque, which was brought from Santo Domingo Island. They narrate the different biblical scenes with lots of characters and peculiar ornaments. The enormous organ at the end of the choir is composed of more than 1.500 pipes, and after a century from the last time that it was played and seven months of changes, it is nowadays considered a precious treasure all around the world. Affirmative! Otherwise we will contact you in advance to inform you about it. 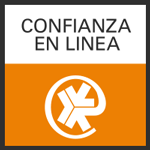 Availability may vary due to the festivities or celebrations held in the Mosque-Cathedral or its surroundings.